The countdown clock project itself has been in process for many years before her arrival. Richard Davey laid the groundwork the top-down changes he's made since moving from MBCR to MassDOT/MBTA three years ago. Director of Innovation Josh Robin, whom Davey brought over from MassDOT to the MBTA because of his work on the MassDOT Developers project, led actual implementation of the project. 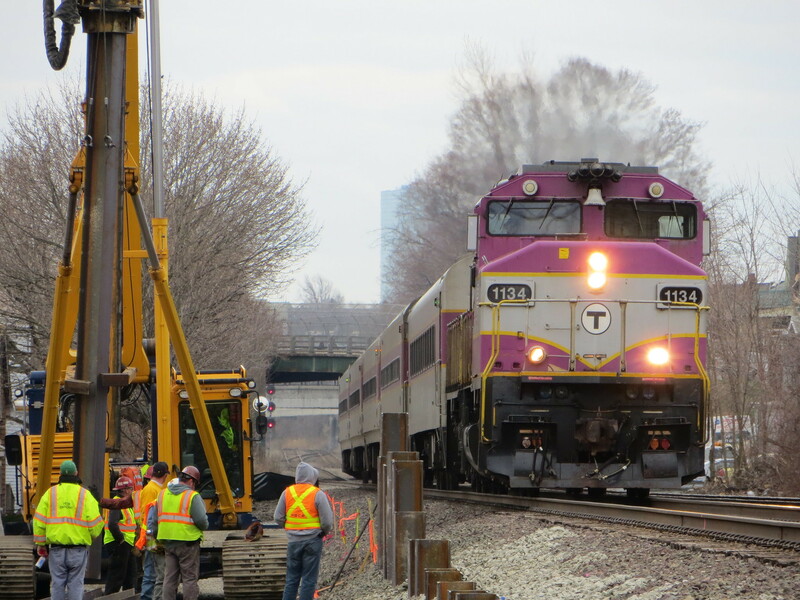 The project was first tested at South Station several months ago and full rollout has been quietly in the works. 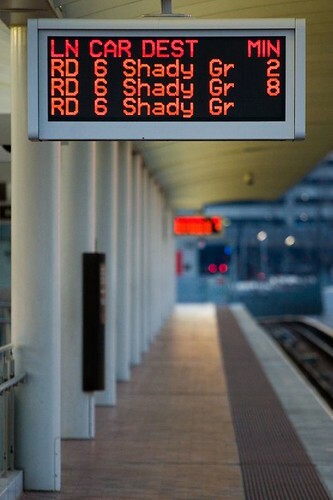 Regardless, the introduction of countdown clocks will be beneficial for all riders, especially those at stations without cellular service where the only way to know a train is coming is by looking at a smartphone app with stale data that was last pulled before arriving at the platform. This is a far cry from actual service improvements, but any real changes to bring an end to broken down trains and delays from switch and signal problems will carry a much higher pricetag, one neither the MBTA nor MassDOT can afford to buy or ignore. We'll have to wait and see if Dr. Scott is the 'high impact player' that can be the final cog in the machine that will get our transit system running smoothly. I happened to be thumbing through my RSS feeds and stumbled upon the lede image in a post about an upcoming BRT project for Brooklyn. It struck me that in so few times that I've ever taken the bus in New York, these simple words on the head sign did so much to prevent the frustration when a bus blows past your stop without hesitation. Nowadays with bus tracking enabled by NextBus.com, it's easy for most people to see when buses are bunching up, but it's not so easy to know when a bus is being flagged by dispatch to go express. Kurt Raschke over at his blog does a great job exploring where this can go and where some agencies on the Eastern Seaboard are already taking it. With Davey pushing low-cost, high-impact changes to affect the customer experience, this should be among the top of his list to discuss with incoming MBTA GM Beverly Scott. After grabbing the attention of some folks on the web and at MassDOT/the MBTA, I’ve set in motion the steps to a better method of alerting fellow riders to upcoming service changes. At a meeting with my contact at the MBTA this past Friday, I handed over the template designs and uncovered a few ugly truths about signage and rider communication at the MBTA. When put to practice, the signs will not be placed within the trains themselves, as I had done the night of 6 May, for ‘union reasons’. Instead, they will likely continue to be deployed as ‘seat drops’, which basically means they’ll end up face-down on the floor under the seats after the morning rush comes in to peel them off the seats. I regret not having pressed harder for a better solution. These signs will also go up in stations, ideally in place of the large vinyl walls of text that have normally accompanied service changes. Ultimately, all signs now deployed on the T for service changes are currently done line-by-line by each line manager, but this isn’t really news to us. 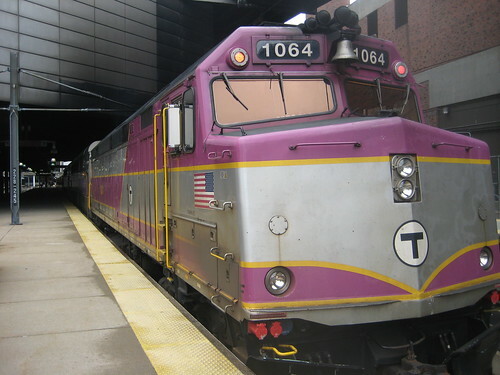 What’s more distressing is that whatever design and brand integrity team that used to exist at the MBTA as part of the public relations team no longer exists, likely due to successive budget cuts and the resultant position eliminations that have happened over the past few decades of federal, state, and municipal disinvestment in transit. A well enforced brand identity breeds comfort and familiarity and makes it easier for riders to passively spot helpful information, such as line maps, emergency procedures, or wayfinding signage. Splintering of this visual continuity hampers this and makes communicating with passengers much more difficult and energy intensive. The MBTA needs a brand and passenger communications czar; Joe Pesaturo and his team has their hands full with outward-facing communications with news media and internal communications at the MBTA. In any case, the signs will make their way to the public relations team who will apply their touch to the designs and push them out as a template to the line managers. How it develops from there is up to them, but Josh Robin plans to keep me involved in the project. At the moment, my next step is to create a web app that will allow line managers to create the signs with an intuitive form using drop-down menus and canned statements that have been pre-approved by the public relations team. Anyone interested in contributing his/her web technologies talents should express his/her interest in comments below.